Not even the entire United States Federal Probation Department can control a thug like felon Bernard Kerik! Bernard Kerik, as inmate 84888-054, once told me no one could control him, especially the Southern District of New York or the United States Federal Probation Department. 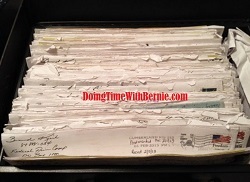 Bernie boasted to me, when released, he would "make up for everything he missed in prison". Well, that may account for the absence of his wedding ring and one daughter's name missing from the dedication in his new book, "From Jailer to Jailed". Given the abuse and harassment I, members of my family, friends and employer have received, especially since the release of his book (where he uses my work without permission, credit or compensation), I do agree no one on this earth can control Bernie Kerik outside of a federal prison. 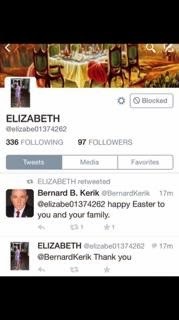 Bernard Kerik continues to believe I must be the one who must be silent and forgo my 1st Amendment rights. In addition to the $93,000 he swindled from me while he was in prison, Bernie Kerik truly believes he can intimidate, threaten, harass and manipulate me out of telling my truth. That's never going to happen. However, I can attest the US Federal Probation Department in Newark, New Jersey, has encouraged Bernie Kerik by refusing to violate him after 15 reports filed which may violate most felon's probation dealing with a felon who is a friend and former law enforcement officer. Bernie has received "special treatment" every step of the way of his thug journey. This is why Bernie boasts of how "special" he is to have been both a cop and a criminal. The system actually encourages this special treatment because most of them apparently have no balls and/or weak character to stand up to a "celebrity" crook! So how does Bernie Kerik get away with it? He uses others to do his dirty work as he has always done throughout his corrupt career. Let's take a look in a nice cleansing of the evil that is felon liar on probation, Bernard Kerik, shall we? You might remember the social media harassment by Bernie Kerik's old creepy crony, John Picciano. This was documented in my blog. I kept getting the brush off from US Federal probation until I showed proof to the authorities the two were colluding and busted Bernie in this blog. Then, suddenly, things were quiet. Then Bernie Kerik, the felon on probation's "supervision" was moved to the Newark, New Jersey office where Bernard Kerik is a "living thug legend" and where his son, Joe is a police officer. No conflict of interest there, right? Not a smidgen! Ha! US Federal Probation in Newark New Jersey may look the other way when Bernie commits lesser violation. I have proof Bernie communicates with other felons in blatant violation of his probation. These felons may or may not include but not limited to Cumberland buddies are Joseph Burchfield (Inmate 07661-070 released on 03/20/15) and Sissaye Gezachew (Inmate 75713-083 released 12/03/12). Bernie mentions them in his book. Bernie communicated with them through their wives' emails. You may remember Isa Burchfield from my previous blog. She was "very close" to Bernie as a Crossfit buddy and I hear Bernie "took care of her" until he hubby got released this past March. Isa Burchfield may or may not have a gift for writing anonymous threatening letters where she forgets the return address and her signature. US Federal Probation allowed Bernard Kerik to write a book, profiting off his crime, while Bernie still has over $180,000 left owing the US Federal Government in criminal fines and restitution. I know book sales are weak, but where did the money go? Taxpayers might want to know. I thought thugs couldn't profit off their crimes? Such Fuckery..yup, I said Fuckery! Bernie got special treatment in prison and on "supervised released"
At the present time, it appears the US Federal Probation in Newark, New Jersey can't or won't control Bernard Kerik. In a coincidence timed the release of his book and exhaustive media news tour, it appears Bernie does not have a new probation officer assigned to him since his last female probation officer retired. Ok, I know losing my job and watching Elizabeth Guzman and felon on probation Bernard Kerik harass my loved ones (who are ill and can't defend themselves now) isn't the crime of the century. It doesn't mean anything to anyone but me. My relief and sanity is this blog where I can put Bernie and his little sucking friends (both men and women!) on blast for the whole world to see. You see, truth is true punishment to a narcissist psychopath like Bernard Kerik. Allow me to proclaim the most dangerous criminals are the ones who don't "look like a criminal" with their white collars and their "influential" friends. These dangerous criminals know exactly how far to go to push the boundaries of law yet still accomplishing the threat, harassment and fear that would cause others to return to prison. I'm no Cinderella and far from perfect .I am a decent, contributing, law-abiding middle class PRIVATE citizen who is generous and caring. However, I'm no fool and I will protect myself and those I love as a fierce warrior to the death. Trust and believe. (Ask Bernie about that one!) Bernie Kerik will not win. The real losers will be the naive and/or evil loyal "followers" who will pay the price in the end. 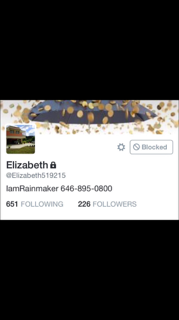 Are you listening, Lizzy? Been there, doll. Take it from me. When the crap hits the fan, Bernie walks and takes it all with him. He's done that to three wives and four kids already. You are not that special. Bernie Kerik is the Emperor who had no clothes. Enough women (and men), who aren't his wife, have seen and had Bernie Kerik without his clothes. Maybe that's why this women sees right through Bernie Kerik.